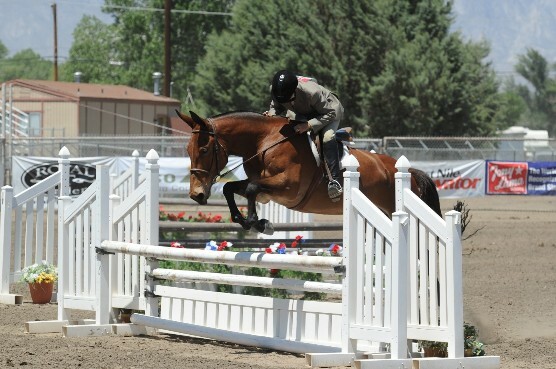 In 2003 we retired Prince from the show ring. He had accomplished so much in the two and a half years that he campaigned we frankly felt he deserved the luxury of staying home. 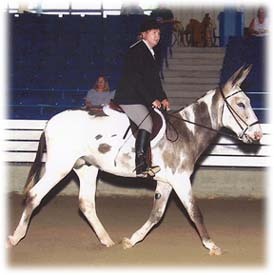 From his very first show at the Buckeye Classic in 2001, where he went Champion Model Donkey to his very last show in October of 2003 at the North Carolina State Fair where he was also the Champion Model Donkey, Prince has packed in a phenomenal number of Model Donkey and High Point Donkey wins. 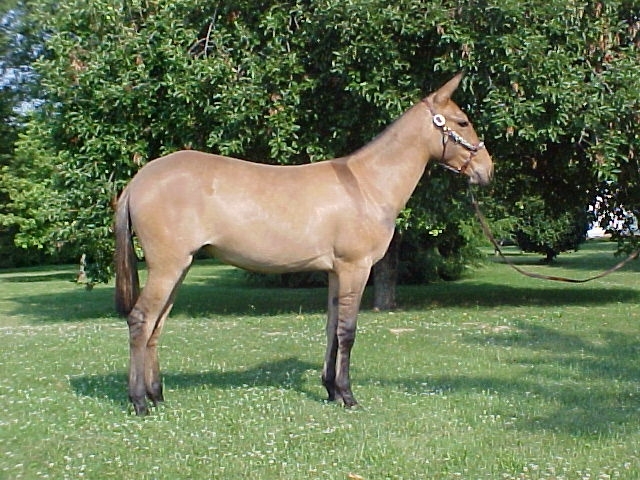 During 2003 he was Champion Model Donkey at three “A” rated shows where he was also High Point Performance Champion. Not an easy accomplishment, and a very rare one for a jack. 2003 also brought several other Champion and Reserve Champion titles in both Halter and Performance. In addition Prince came away with the NASMA World Champion title in the Keyhole race and the Reserve NASMA World Champion title in Donkey Ride and Drive. He has won the NASMA Reserve Champion High Point end of year title for the years 2002 and 2003 with end of year division Championships in Driving and English. He is a talented, well mannered, beautiful jack that is a joy to work with and own. Prince is a “Classic Jack”, to be sure! 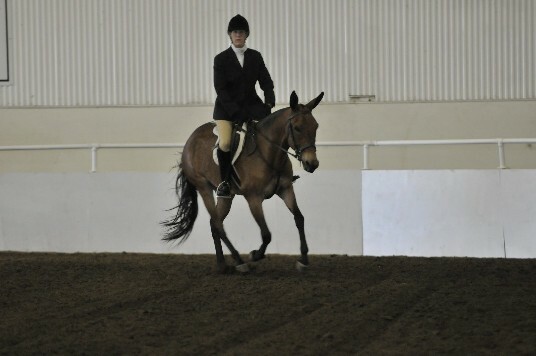 Jet is out of our Thouroughbred mare Peg The Red and she represents the perfct English type mule. Prince is the right jack to take the heat out without sacrificing size or athletisism. 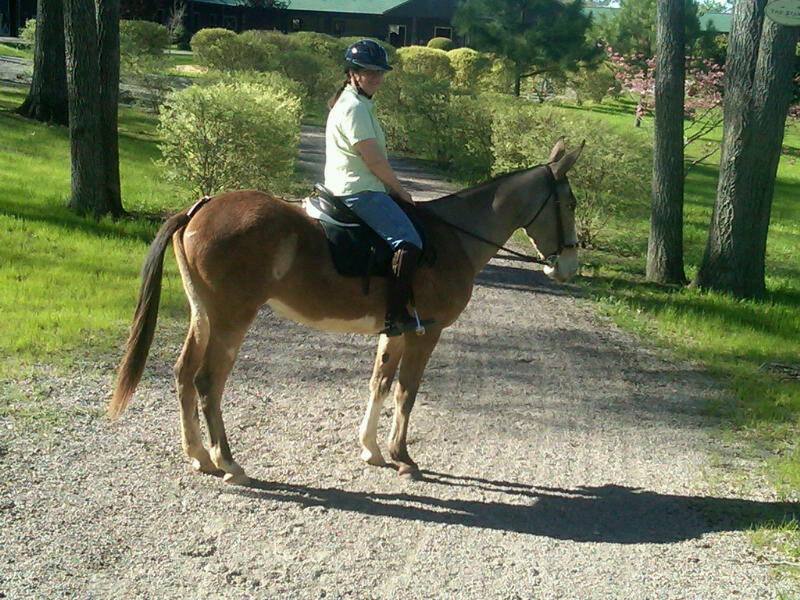 This big handsome man is owned by Donna Wilburn, she has been retired from the show ring for a few years now, but she and "Ug" still ride the trails together. This molly is all elegance. Color, mind, size and just ate up with class. This is the kind of gorgeous color you can expect with Prince. 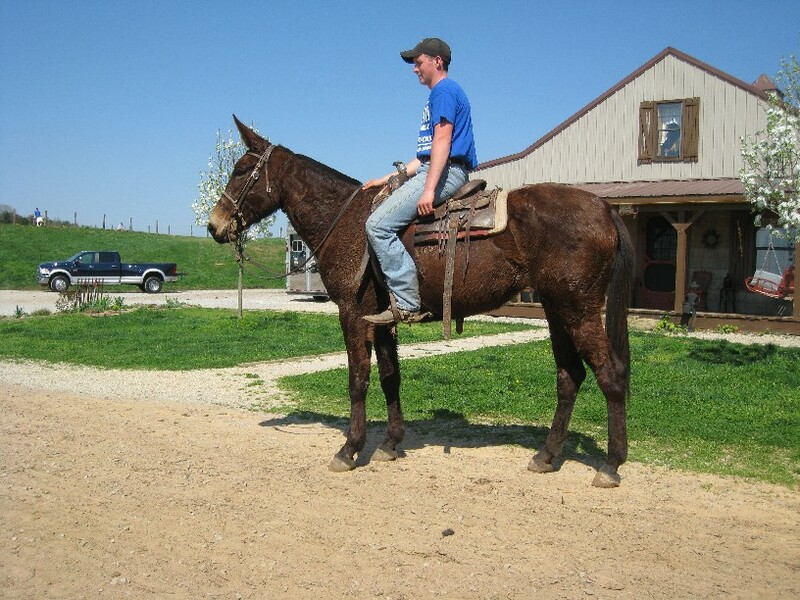 Sandy is out of a buckskin mare by the name of That's a Little Moore Son. Sandy is out west, on the trail and she is loved. 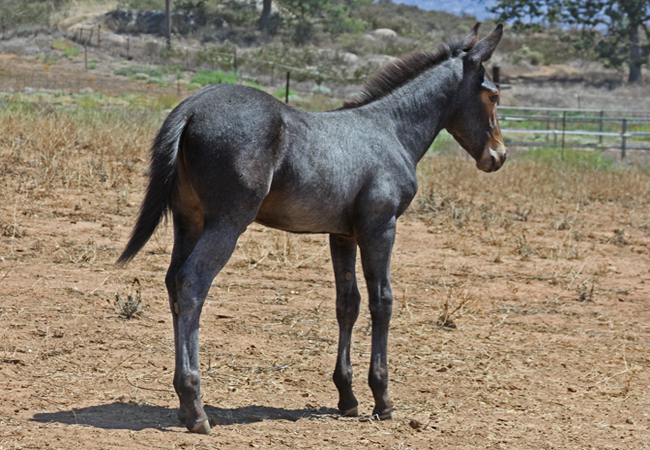 The perfect mule story! Heather and Maggie are a beautiful pair together. Maggie is a full sister to Desert Shade, Desert's Bright Lights, Desert's Wild Tiger and Behold the Desert, quite a family to be a part of.